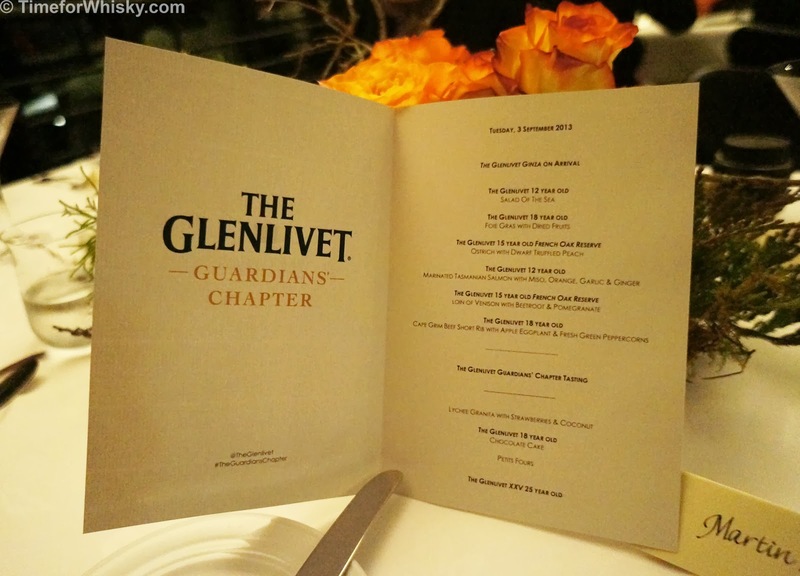 A few weeks ago Steph and I were generously invited to the worldwide launch of The Glenlivet's "The Guardians' Chapter" at Sydney's Tetsuya's restaurant. 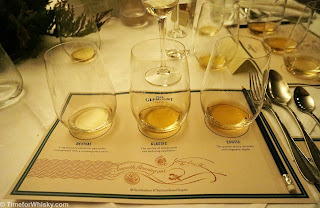 While the star of the show was no doubt the three "Guardians' Chapter" whiskies (see link for tasting notes), the night was capped off with a two Glenlivet XXV 25yo drams...which just happened to be on my list! Colour: A dark, rich, deep copper, completely distinct from any other original bottling (OB) The Glenlivet we tried on the night. I love it when whiskies look like this dark and "complex" without any caramel colouring. Nose: Maple syrup, oaky but not overpowering. Rich, with a noticeable sherry influence. Palate: Initially feels like it's carrying more than 43% ABV. Not harsh, just a big mouthfeel. Sharp flavour with strong berry undertones, and the sherry influence is again noticeable. Some toffee notes but for me, the berry notes were the strongest. Finish: Lengthy as you'd expect, with the sherry notes remaining right to the end. Perfectly balanced though. I really couldn't think of a better way to cap off what was an amazing night. 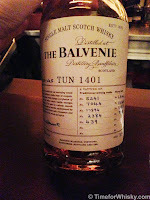 Sitting around, chatting to other whisky fans, while Steph and I clinked a final glass of this - heaven. Rating (on my very non-scientific scale): 92/100. A whisky with the substance to match it's packaging and prestige. 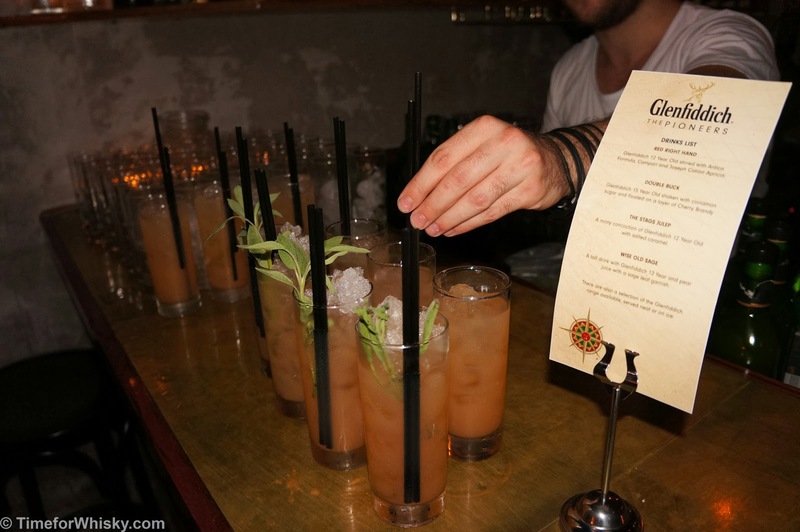 Jack Daniel's - Celebrating Jacktember and "Raising a Jack to Jack"
Last week Brown Forman Australia invited guests to "Raise a Jack to Jack", to celebrate the month known as "Jacktember" at Sydney's brilliant Tokonoma. 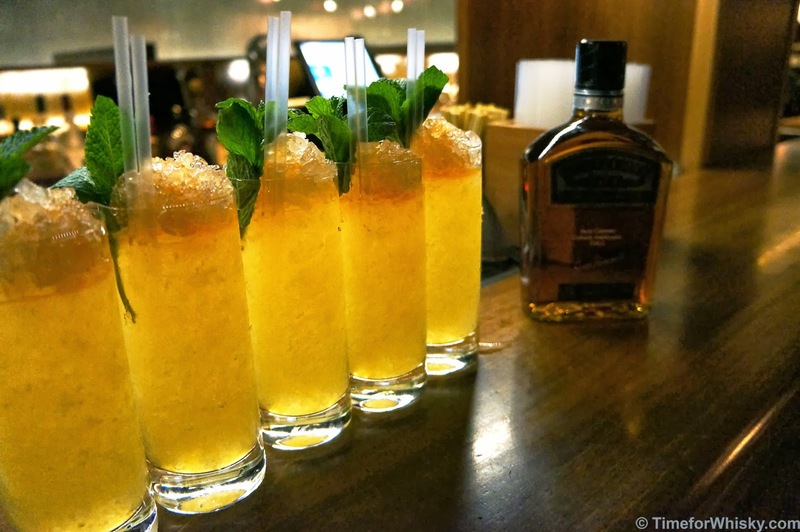 No-one knows Jack Daniel's actual birthday, so each year the whole month of September is re-named "Jacktember" and set aside to celebrate Jack's birthday via a range of events around the world. 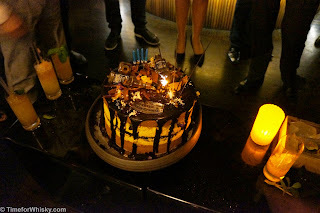 In Sydney, guests enjoyed Jack Daniel's cocktails, Gentleman Jack, and a very special Jack Daniel's cake from Hartsyard (which was incredible), along with a seemingly never-ending stream of Tokonoma's fantastic canapés. 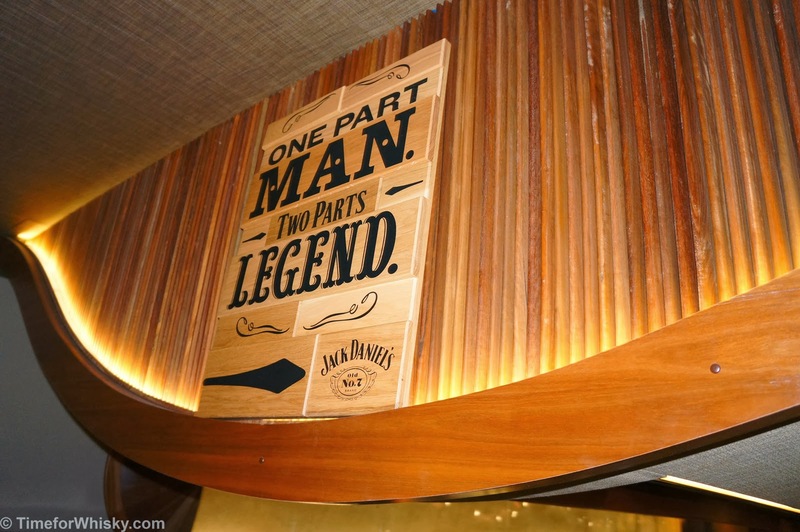 It was great to meet the broader Brown Forman crew, and share a Jack with a few old friends too. 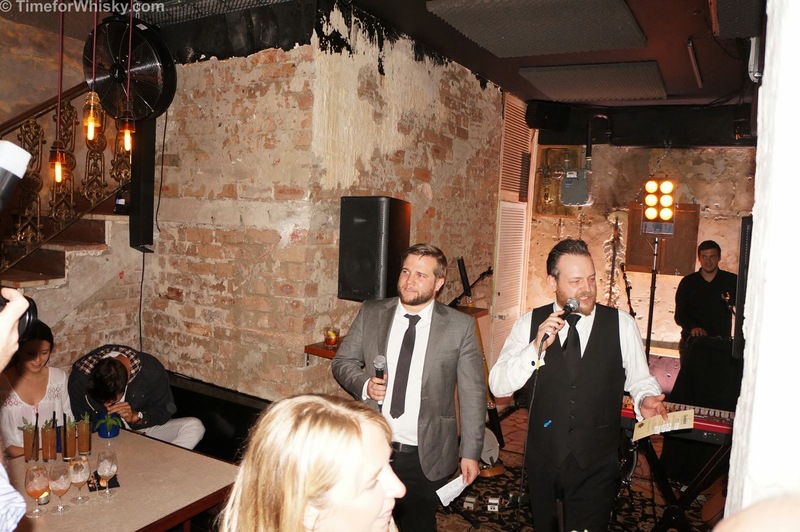 It's good to see that even with the end of the Jack Daniel's Embassy (which was an awesome program), Brown Forman still know how to throw a great party! 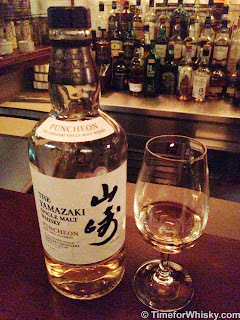 To date, one of my top three whiskies is the excellent Yamazaki Bourbon Barrel. It's also incredibly hard to come across these days, being released in only very limited numbers in 2011 and 2012 (with 2013's release due out in November). 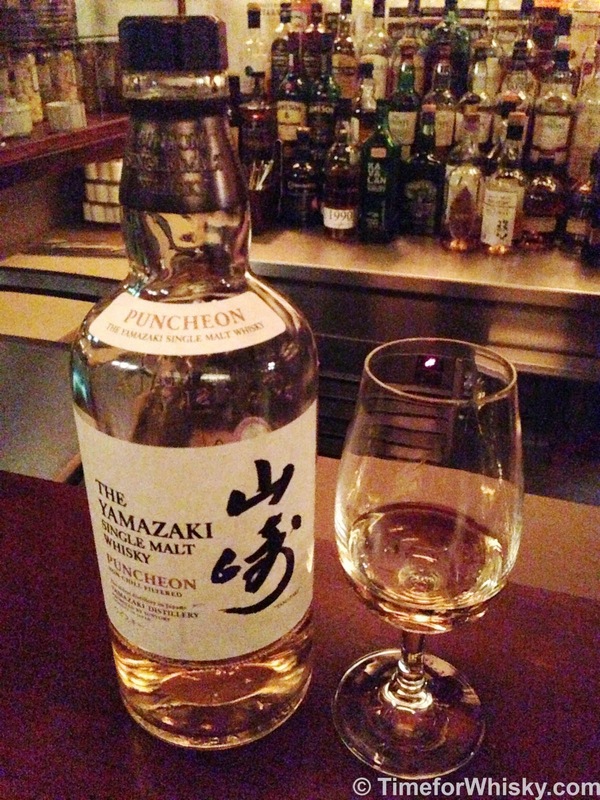 The Yamazaki Puncheon cask is also from an ex-Bourbon barrel, of sorts. 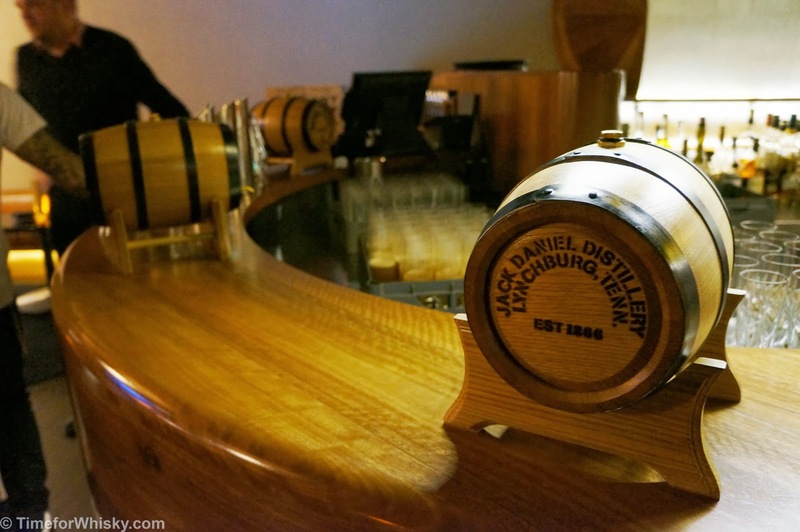 A Puncheon is a larger type of barrel, in this case 480L (compared with a typical hogshead of ~230L), commonly used in the American whiskey industry. So what does that mean for the whisky? Well you can assume that since there's more liquid in the barrel, there's going to be less wood contact overall, and so some of the flavours might be a bit muted compared to the Bourbon barrel. To be honest apart from that I wasn't really sure what to expect, but I knew I hadn't met a Yamazaki I didn't like, so in I went (on the off chance that I didn't like it, I was pretty sure I could follow up with something more to my liking given Whisky + Alement's excellent selection (see right). Nose: Light. Slight fruit notes. Sweet but not to the dessert-like extent of the Bourbon barrel. No spice notes either. Palate: Light on the palate - I'd have picked it as a 40% rather than a 48% ABV. Similar vanilla ice cream notes as the Bourbon barrel, but toned down, and less sweetness overall. Finish: Still sweet, but again - lighter, fruitier. Sharp, but overall, a bit "less" than the Bourbon barrel. Rating (on my very non-scientific scale): 91/100. To be fair, almost anything going up against the TUN 1401 I tried just before this was going to struggle. Not a bad whisky by any stretch of the imagination, but not a touch on the 2011 Bourbon barrel. 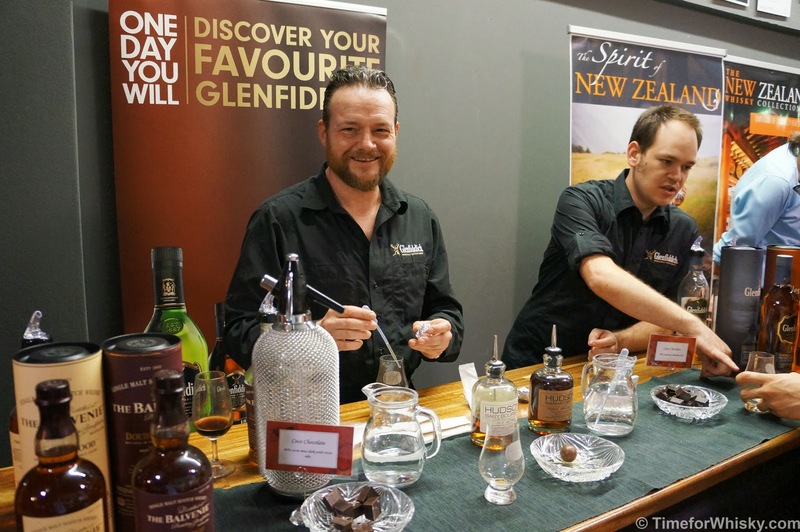 In Sydney each year we have three main whisky shows - The Whisky Show (July), Whisky Live (August), and The Whisky Fair (September). In 2012 Steph and I attended the first two, but for some reason missed out on The Whisky Fair (perhaps we thought two was enough? Crazy talk...) This year we righted that wrong. 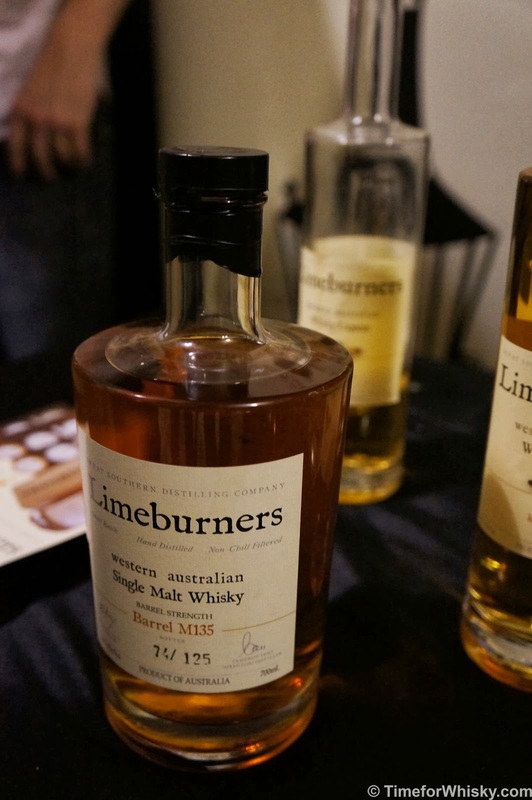 Whereas Whisky Live is mainly about readily-available whiskies, aimed not necessarily at the whisky enthusiast, and The Whisky Show is a mix of enthusiast drams and readily available whiskies, The Whisky Fair is very much aimed at real whisky enthusiasts, with plenty of drams you won't see anywhere else. While the show does include plenty of well-known distilleries, the drams they offer are typically from the upper end of the portfolio - e.g. 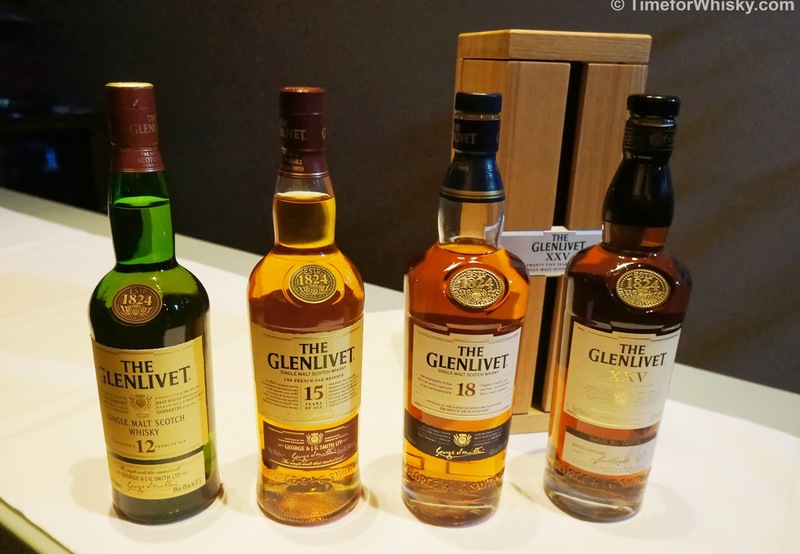 William Grant & Sons were offering The Balvenie 17yo Double Wood, Glenfarclas were tasting the 40yo, Pernod Ricard had a wide selection from their portfolio, including Longmorn and the excellent The Glenlivet Nadurra, and Think Spirits were offering The Dalmore King Alexander III. But while those are all excellent whiskies, it was the rarer, more "boutique" drams I was really excited to try - and the The Oak Barrel didn't disappoint, with their cavernous CBD store occupied by the likes of the Balcones (will the popularity of this Texan distillery ever stop growing? ), FEW Spirits, masters of experiment Koval, Belgrove (making its aged Rye debut), and Australian independent bottler Heartwood, with their incredible 72.5% "The Convict Redemption". Not to mention an Overeem bottled especially for the fair, thrown in for good measure. With so many drams on offer it was hard to know where to start, so first order of business was to get around and say hi (over a dram or two) to all the friends Time for Whisky has made over the past year. 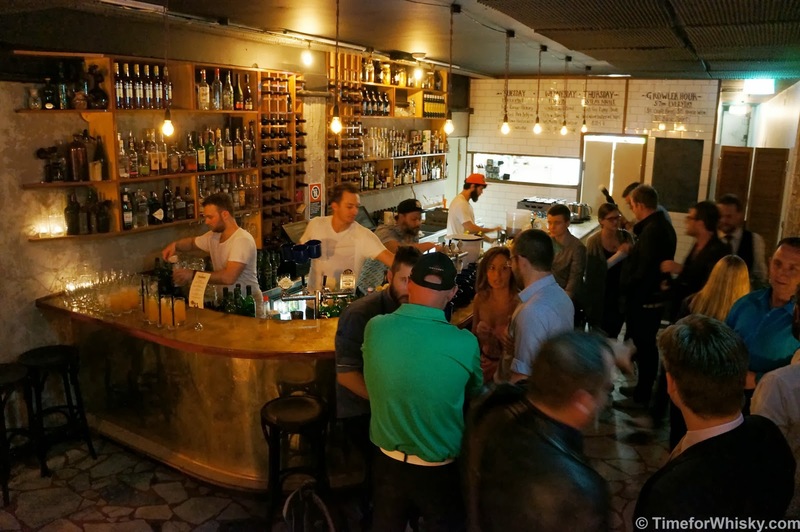 Belgrove - I'd read a bit about Belgrove and was genuinely keen to try it. 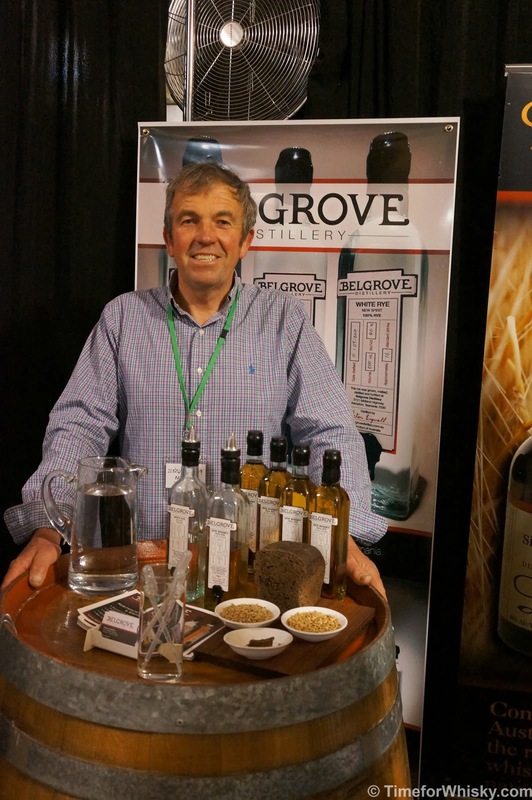 Peter Bignell (distiller and owner) talked us through his Tasmanian Rye - made via a real self-contained production process, with the ryecorn home-grown on his farm, the pot still built from scratch, heating from home-made biodiesel and cooling from his own dam! Both unaged and (minimum) 2 year barrel aged varieties were on tasting, and both were very impressive. One to watch. 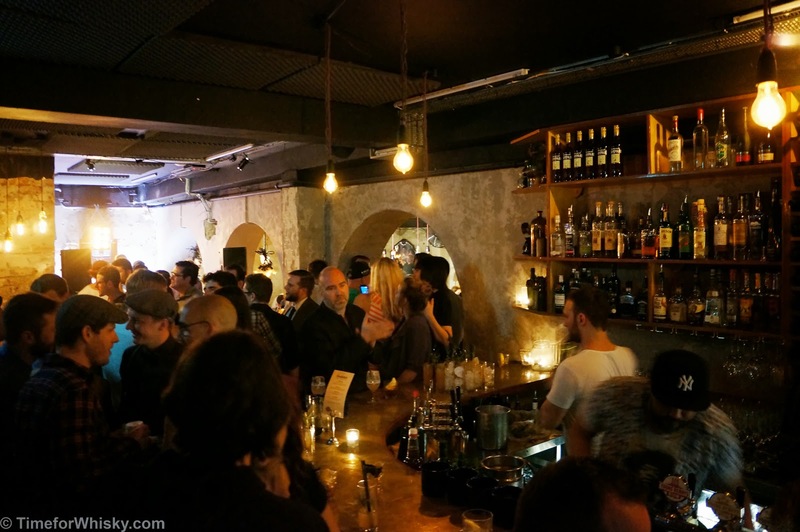 Balcones - I'd tried the Baby Blue Corn Whisky earlier and was keen to try the rest of the range. 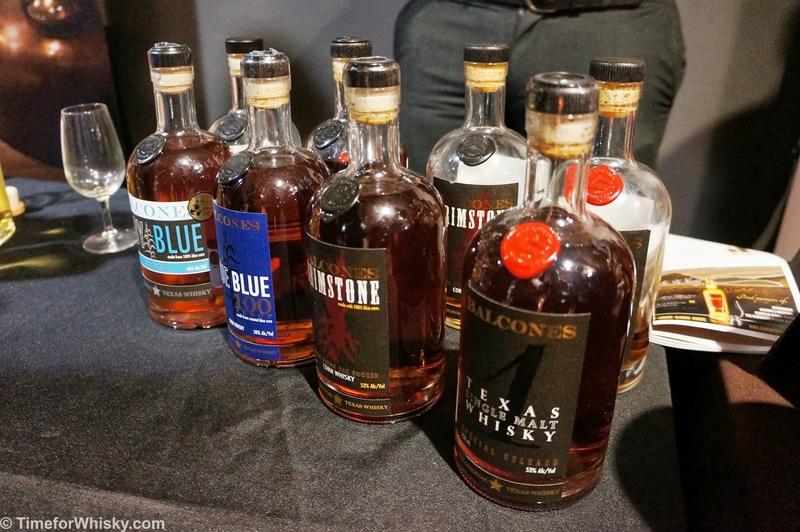 Luckily H&R Craft Beverages were at the show, with not only the Texas Single Malt (a #101drams whisky) and Baby Blue, but also the True Blue 100 proof and Brimstone. A quick taste of each confirmed what I'd suspected - that the Baby Blue wasn't just a fluke - all Balcones' whiskies are fantastic. Heartwood, along with Belgrove, was the other Tassie entrant I was particularly keen to visit. 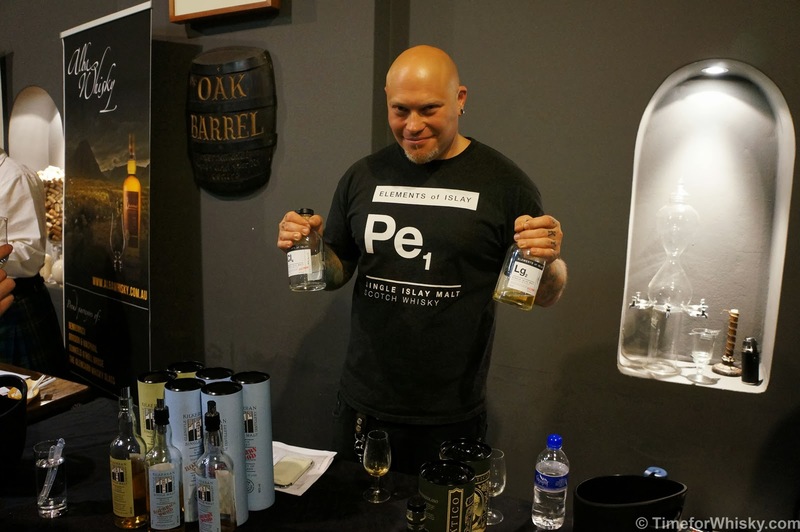 (To my knowledge) the only Australian independent bottler of Australian whisky, Heartwood bottle a range of Aussie whiskies, at cask strength, and sell them in 500mL format with names such as "Vat out of Hell", "Release the Beast" and "Velvet Hammer". But it was their 72.5% "The Convict Redemption" that stole the show. Tim (owner and Lark Distillery board member) was passing around drams to comments such as "wow", "full bodied" and "flavoursome" - presumably mostly from people who didn't realise they'd just tried a 72.5% ABV whisky. That's how smooth this whisky really is. Steph tried it, and (no stranger to cask strength whiskies, having recently gotten into SMWS bottlings) guessed it to be around 55-60%. A stunner. 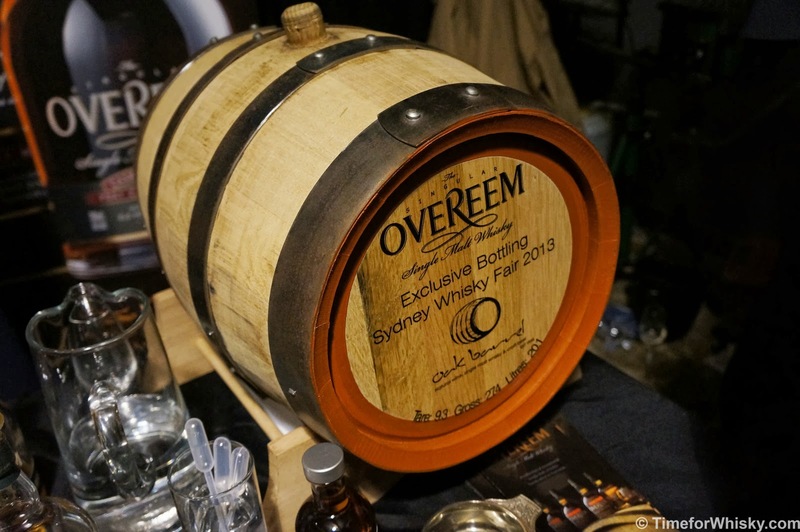 Overeem - a Tassie favourite of mine, with 200mL bottlings of their Oak Barrel exclusive cask for only $44. 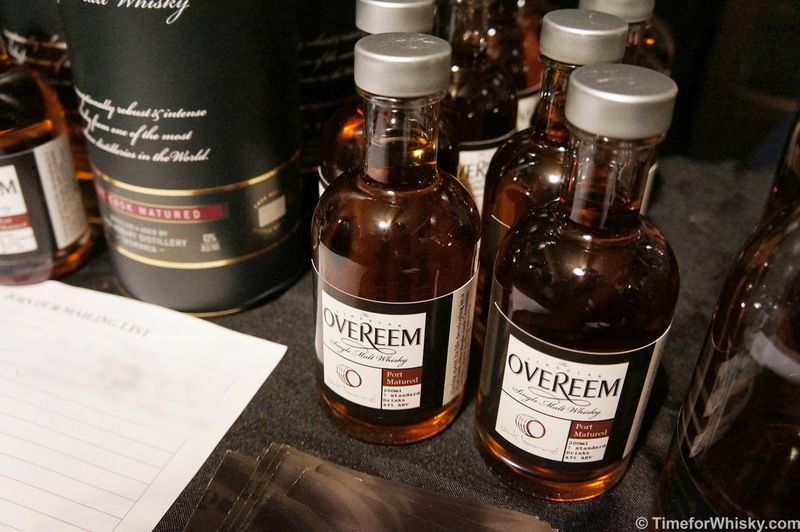 We're big fans of the Port cask Overeem (and also the Sherry), and can't wait for their next release. Brown Forman were again on hand, this time with the most impressive stand they've had in a long time. 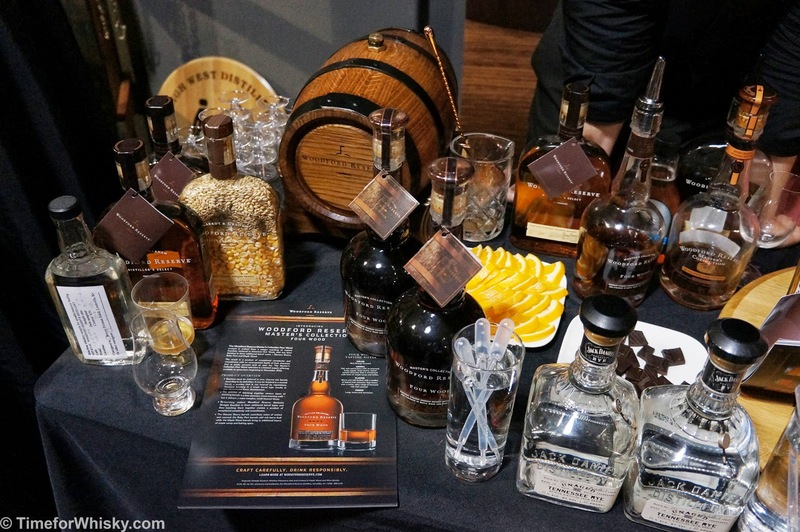 Sure Woodford Reserve and Jack (Unaged Rye) were there, but so were some of the rarer Woodford Master's Collection (including the Four Wood). As if the stand wasn't packed enough, brand ambassador Stuart had also managed to whip up a batch of barrel aged Old Fashioneds! 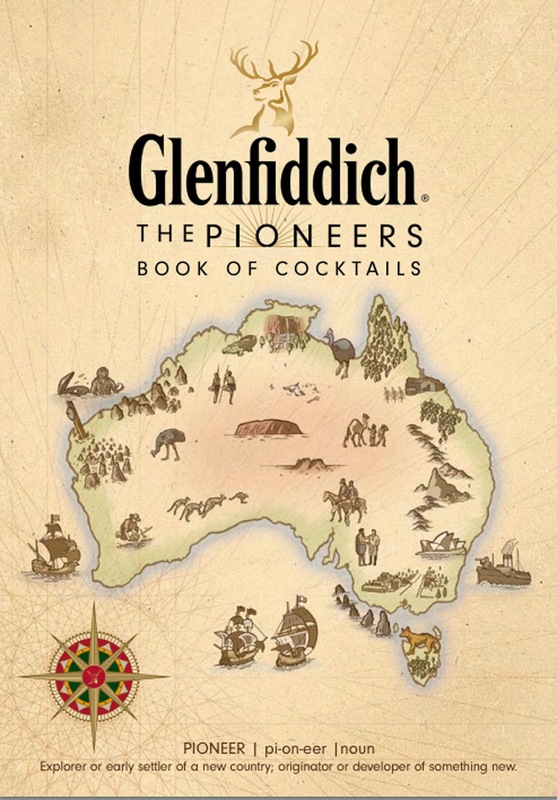 ...hold up - 6 distilleries/whiskies mentioned, and not one of them Scottish? Such is the quality of world whisky I guess! 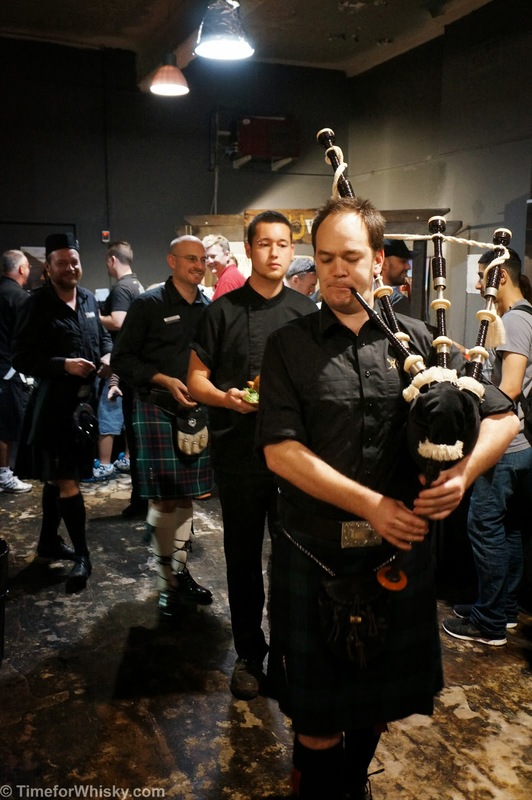 But on the topic of Scotland, half-way through the show a bagpipe procession formed, and James Buntin of William Grant & Sons (a.k.a The Whisky Ambassador) prepared the highlight of the show - fresh haggis, served with neeps and tatties, and a Glenfiddich 14yo Rich Oak. While I'd tried The Balvenie 17yo Double Wood before, I'd never tried it injected into a chocolate truffle. An amazing match. 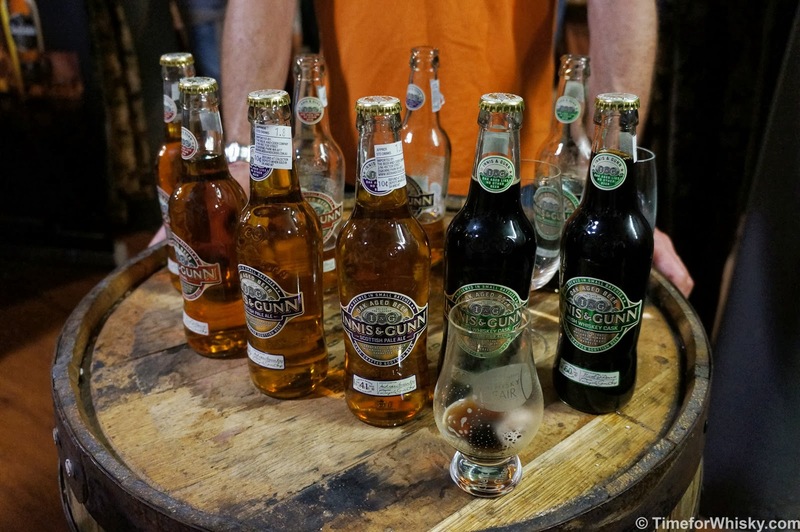 Innis & Gunn beer. Beer? Well all whisky is basically beer at some stage in its life, right? This Edinburgh-based brewery had a few varieties on tasting, but it was their 6.6% ABV "Original" that really impressed me. Aged for 77 days in American Oak, it was honied, smooth and perfectly balanced. Couldn't leave without buying a few bottles! 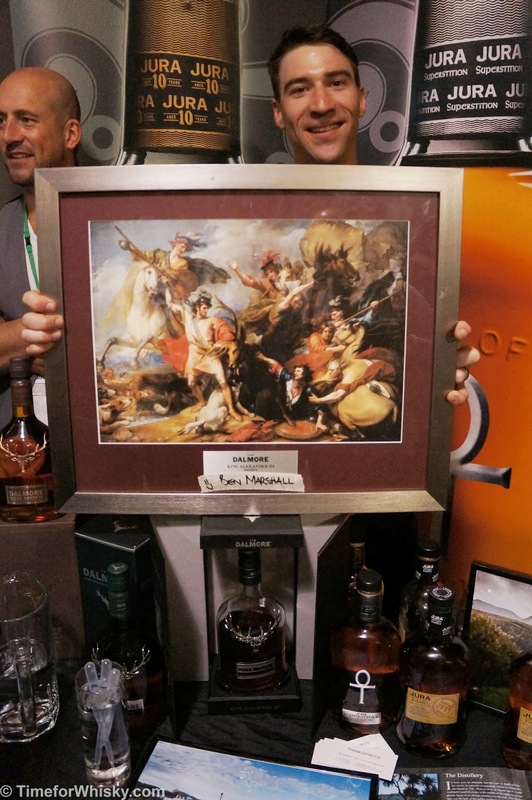 Dalmore King Alexander III - a brilliant (#101drams) dram, complete with impressive artwork (below). Who knew the Think Spirits guys had so much talent? 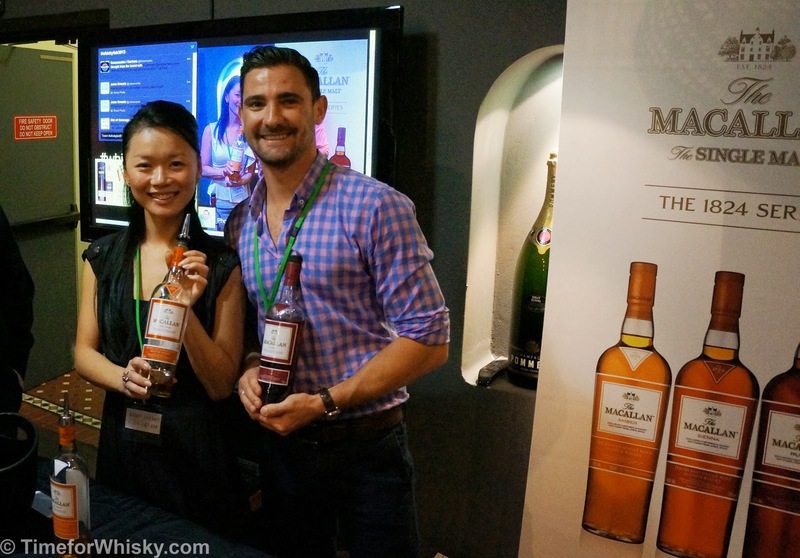 Macallan - the full 1824 Series was on tasting, ahead of its November release in Australia. The Sienna was Steph and my pick of the bunch. Scotch Malt Whisky Society - it wouldn't be an enthusiasts' whisky show without SMWS! Andrew (NSW Ambassador, Director and Australian Cellarmaster) and Murray (Australian tasting panel member and super friendly bloke) were busily handing out drams and converting people to the joys of single cask, cask strength whisky. On taste were a number of gems, including the incredibly light but flavoursome 21.27 (39yo Glenglassaugh), a sublime lightly-peated Ardmore (which was recommended to me by one of the other stalls) and a Craigellachie which I sadly missed (of particular note as they don't even bottle this as an OB Single Malt!). It was hard to believe 4 hours had passed so quickly, but sadly it had, and on that note we said our farewells and walked out into the unusually hot Sydney September. If we can only attend one whisky show next year, this will be it without a doubt. 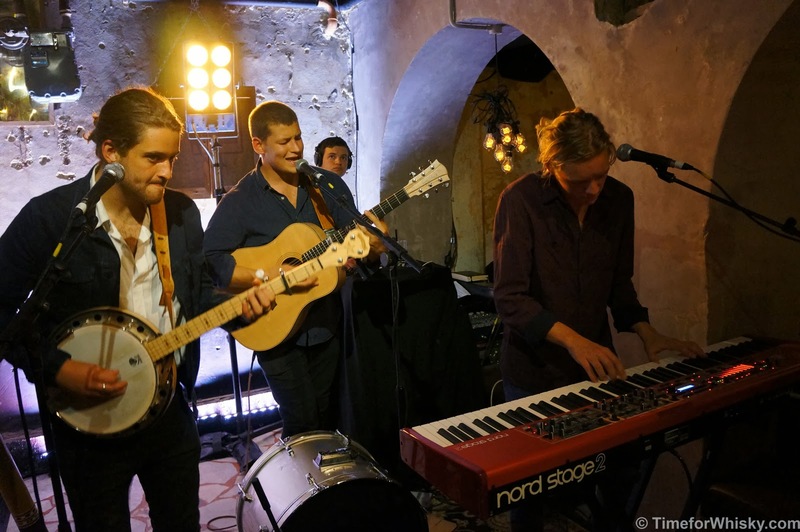 Congrats to Dave and the guys from The Oak Barrel for putting on such a fantastic show. Time for Whisky attended as guests of The Oak Barrel. While Steph (my wife) has been a regular contributor to this blog in the form of support, joining me at the many, many tastings/events/tours, and allowing my growing Whisk(e)y collection to take over the living room, this is her first post. Hopefully the first of many! If you had told me 10 years ago that I would be immersed in all things whisky at this point in my life, I would have given you an odd look and walked the other way. Whisky had the reputation, at least with me, of being an old man’s drink that even my father wasn’t interested in. When Martin, my boyfriend at the time (now husband) ordered a dram at Marble bar a good few years ago I turned my head in revulsion and demanded to know why he would choose to drink something that smelt (and presumably tasted) like Iodine?! My taste buds have shifted since that day. 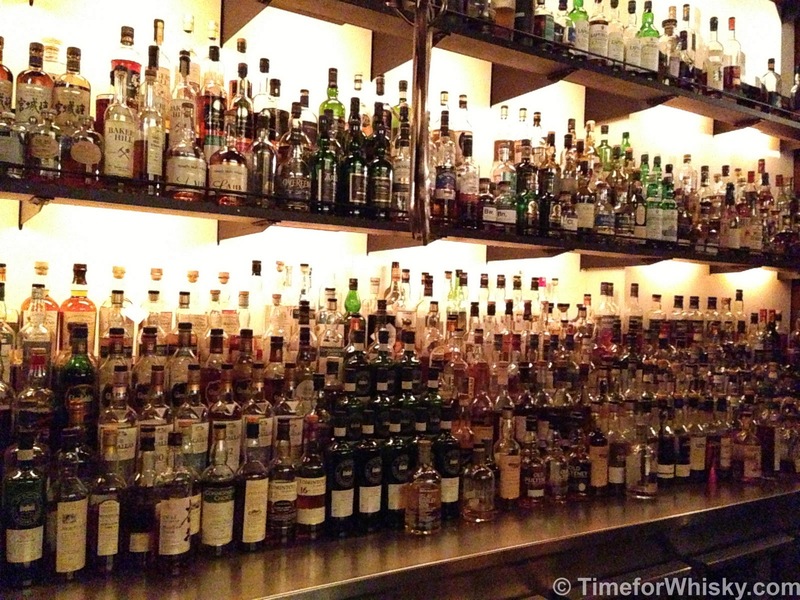 Whisky tastings are a great way to spend a weekday night, and a nice way to explore different varieties. I love it when the structure of tastings change and evolve because I am so sick of hearing how whisky is made! I love whisky fairs now that we know so many of the people there. 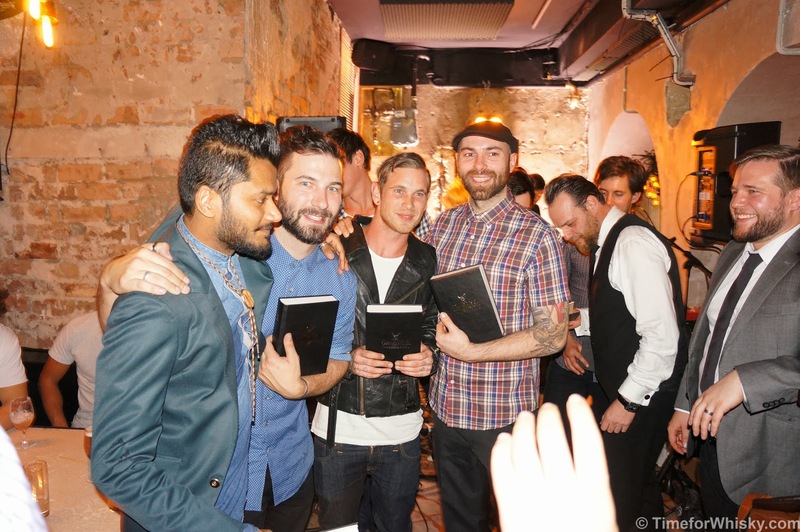 I love the energy, passion and humour of many brand ambassadors that we have been lucky enough to get to know. I particularly love when stands have high quality chocolate sitting alongside the bottles of whisky (HELLO Glenfiddich!) I am always frustrated when exhibitors discredit me and my interest in whisky and talk solely to my husband. Gender inequality much? Coincidently, many whisky fairs often occur around the time of my husband’s birthday (October) which allows me the opportunity to observe what he enjoys before I make an excuse to use the ladies while I race around to the shop and buy him what he covets (I bought him 4 bottles in 2012). It makes birthday present shopping a breeze! These days I still can’t handle the strength and bitterness of new make (please don’t tell me it’s smooth because how can something so strong that it burns my throat be ‘smooth’?) and I do add a few drops of water when the alcohol strength shocks my system. I prefer the aged whiskies, particularly when they are aged in a sherry, sauternes or port casks. I appreciate a good Islay whisky as I have developed a taste for the smokiness. I am thoroughly enjoying this journey into whisky and the great people that we are meeting along the way. I am proud of my husband for his dedication to his blog, which is opening up more opportunities for him to be further immersed into the whisky world, while taking me along for the ride. 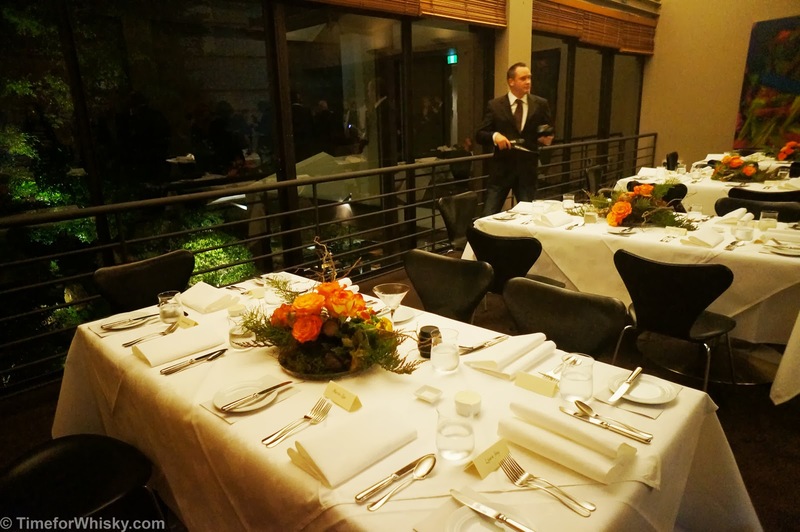 The event was held this past Tuesday, and Steph and I showed up (arriving by Über, which Pernod Ricard had kindly supplied) not entirely knowing what to expect. Some canapés and a tasting perhaps? 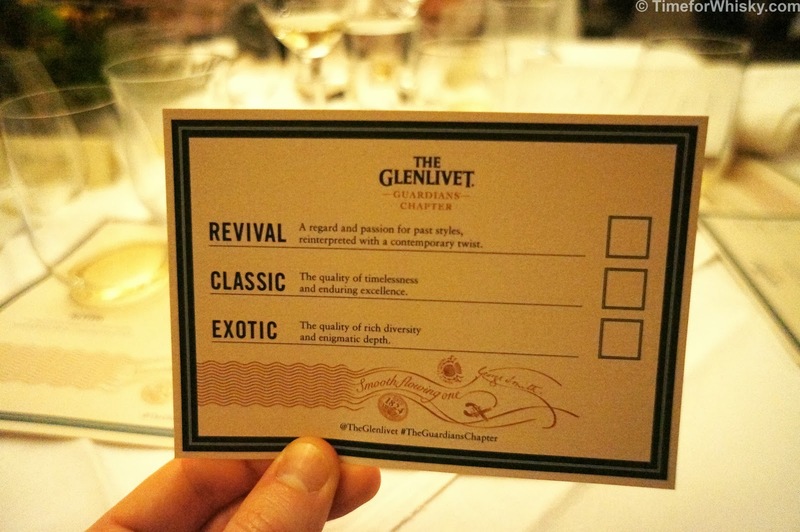 We did know that we were there to taste (and vote on) three new expressions, only one of which would become the next global limited release of The Glenlivet. We also discovered that this was the first public release of these expressions anywhere in the world! 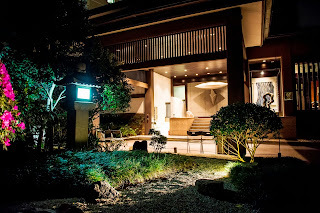 Stepping into Tetsuya's private upstairs dining room, it was clear this was going to be a special, intimate sit-down dinner, with a chance to try not only the new expressions, but the core Glenlivet range with a menu designed by Tetsuya Wakuda himself, matched to the whiskies with the expert advice of The Glenlivet's Australian Brand Ambassador Laura Hay. And on the topic of not doing things by halves, this wasn't just any dinner menu, but a 9 course degustation. 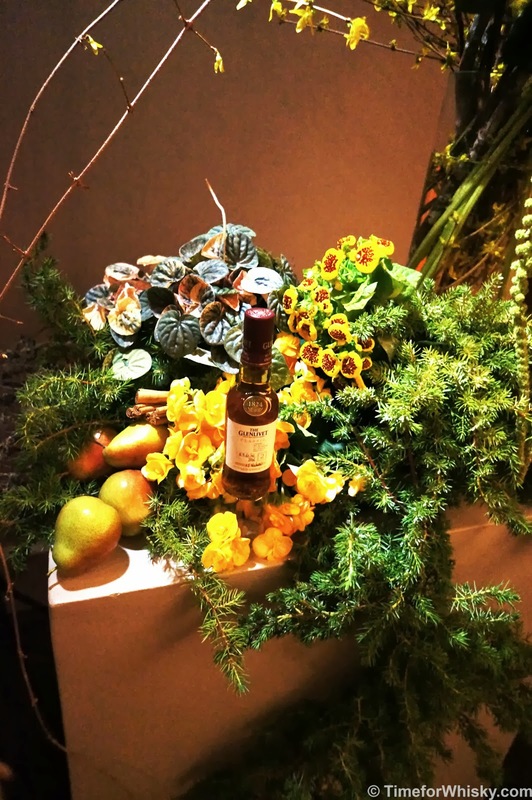 The Glenlivet Ginza was served on arrival, as guests mingled and we got to meet some of the friendly and passionate Pernod Ricard staff. 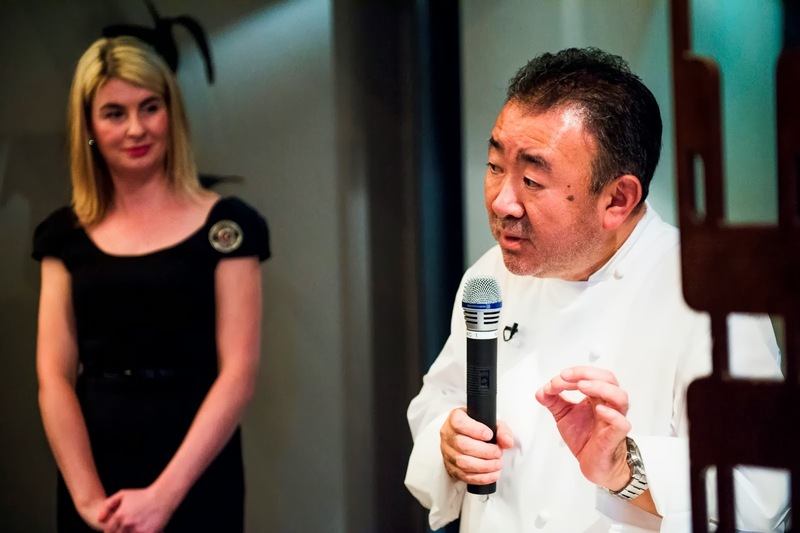 After seats were taken, Laura and Tetsuya introduced the menu, explaining the process behind selecting the courses and matching The Glenlivet expressions. 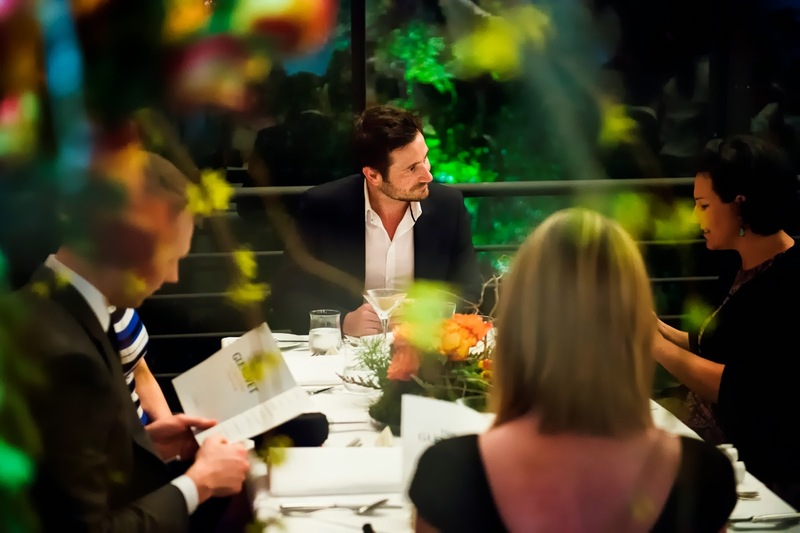 Steph and I had great company at our table, including Andrew and Laura from Pernod Ricard, and Simon Leong of Simon Food Favourites. 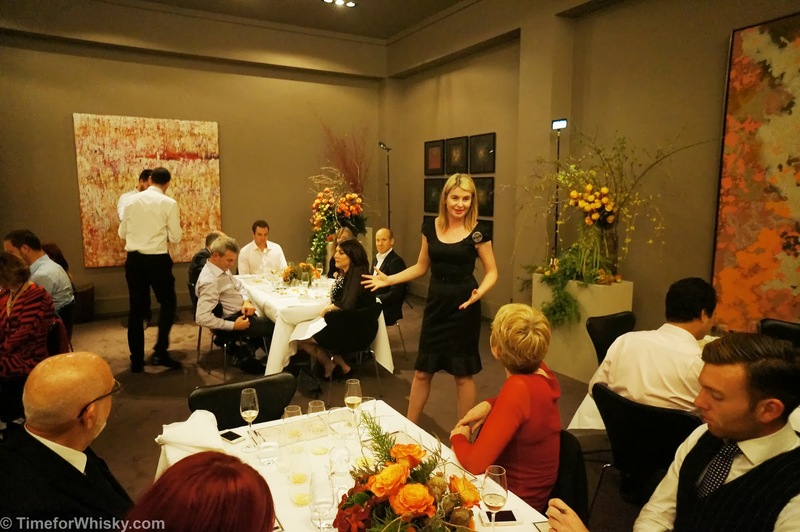 Laura's stories of growing up in an around The Glenlivet distillery kept us well entertained throughout the night. Notes: A match which brought out some real ginger and spice notes. The Glenlivet really added to the flavour of some of the Sashimi, especially the Kingfish. 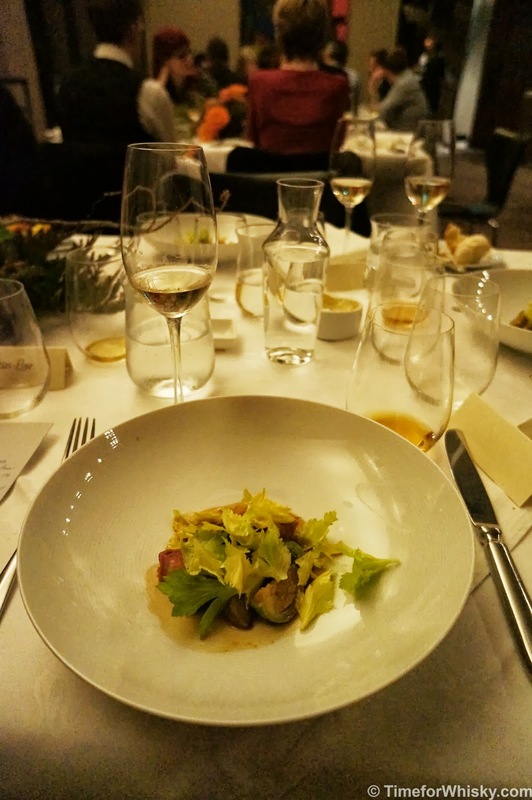 Notes: I'm not usually a big fan of Foie Gras but this was fantastic. 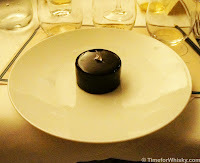 The dry fruits were completely amplified by the whisky - a great match. Notes: Probably my favourite dish of the night. The Glenlivet & Truffles are clearly a perfect match. Strong sesame notes. Notes: The best match of the night. Interestingly, I got slight smoky notes, which complemented the sweet miso flavour brilliantly. Notes: Again a match that brought out some real spicy notes. The Glenlivet seemed to cut through the fruitiness of the pomegranate somewhat and the venison really lengthened the finish of the whisky. Notes: I'm not usually a fan of peppercorns but they were muted here. Overall the dish matched the whisky quite well I thought. Revival - A regard and passion for past styles, reinterpreted with a contemporary twist. We learned the malts are being taken on a global tour, with votes to be tallied from a number of regions. 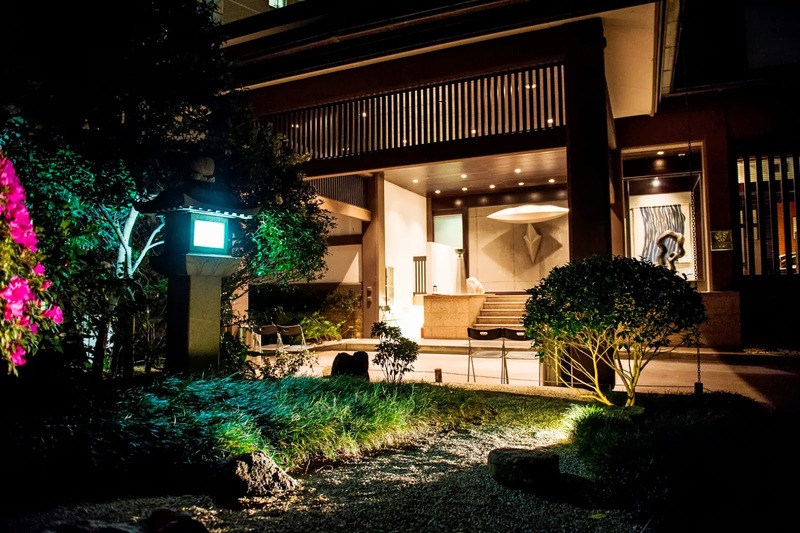 The winning expression will be released as "The Guardians' Chapter", a non-chill filtered, NAS limited edition of only 2000 cases (globally), to be released in March 2014 (see the bottom of this article for details on how to get involved in a tasting session). After being told this would be "the most important vote we make this week" (slightly tongue-in-cheek, given we have a Federal Election this Saturday), we put our voting caps on and got down to business. Revival (ex American and Sherry oak barrels, 48.5% ABV) - Light in colour, with a youthful and apricot nose. No youth on the palate though, with smooth, fruity and slightly sweet notes coming through. The finish is lengthy, with a real tropical fruit finish, and some almonds. A dash of water increased the tropical fruit notes on both the palate and finish. 91/100. Classic (ex American and Sherry oak barrels, 48.5% ABV) - Darker than the Revival, and with much more complexity on the nose. Spice and Christmas Cake notes dominated the palate, with a hint of pineapple. I found a shorter finish on this one, even with a dash of water (which accentuated the palate). As the name suggests, this was the closest to the standard core range. 92/100. Exotic (ex American and Sherry oak barrels, 48.5% ABV) - The darkest of the three (so fair to say it also has the most sherry cask influence). Incredible nose, with sweet dessert-like notes, but complex nutty and dried fruit notes too. Sherry notes on the palate, with shortbread, spongecake and vanilla macarons. A light, but complex and lengthy finishes rounds out what is an excellent whisky. The clear winner in my books. 93/100. It seems I wasn't alone in my voting, as the Exotic won out (with 14 votes), from the Revival (12 votes) and Classic (13 votes). A close call, and it will be interesting to see how the rest of Australia (and the world) votes. My second favourite match of the night. 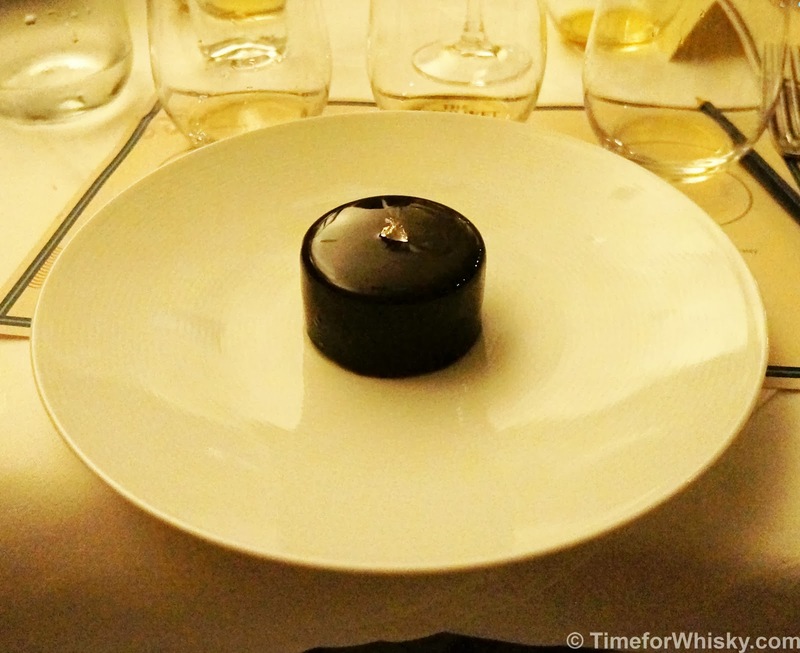 The whisky added complexity to an already very complex, rich and nutty dessert. Heaven. 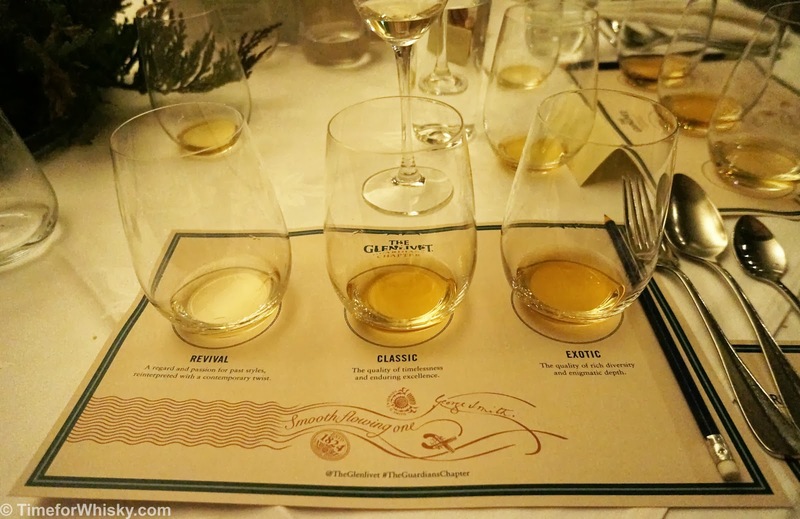 By this stage it was past midnight, but most attendees were able to stick around for a tasting of the 25 year old The Glenlivet XXV (the sacrifices we make right?) - or for those waiting for our Über rides, perhaps two (tasting notes to follow). Overall an incredible night - one which would have required a lot of planning and passion to set up. 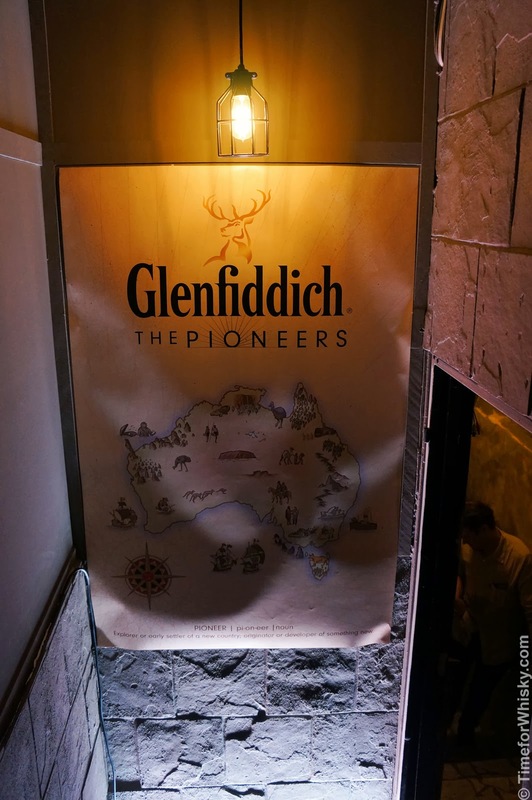 A huge thanks to the Pernod Ricard Australia and Cav Con teams for the invite, and for the take-home gifts (The Glenlivet 18, Riedel whisky tumblers) which were icing on an already amazing cake. 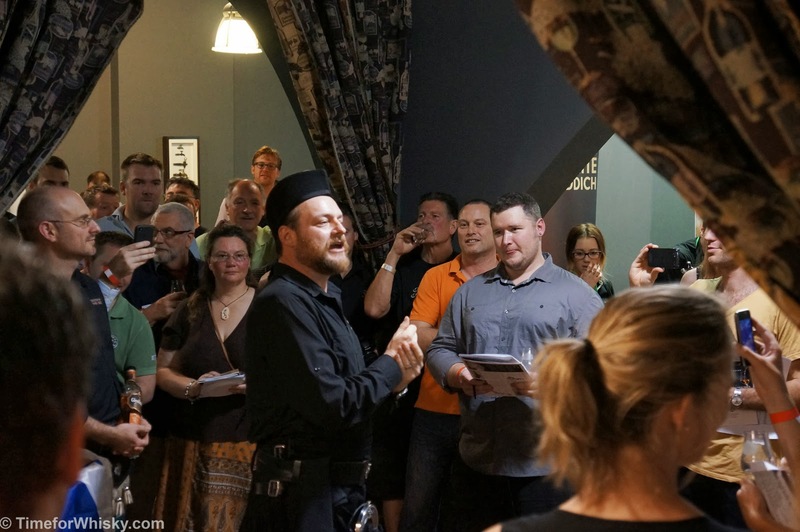 It's been about two weeks since my last post, but the good news is I've tasted some pretty fantastic whiskies in that time, and have some even more fantastic events coming up, so September should be a month of interesting posts. To kick start the month - a #101drams whisky I've been eagerly awaiting - Balvenie TUN 1401. 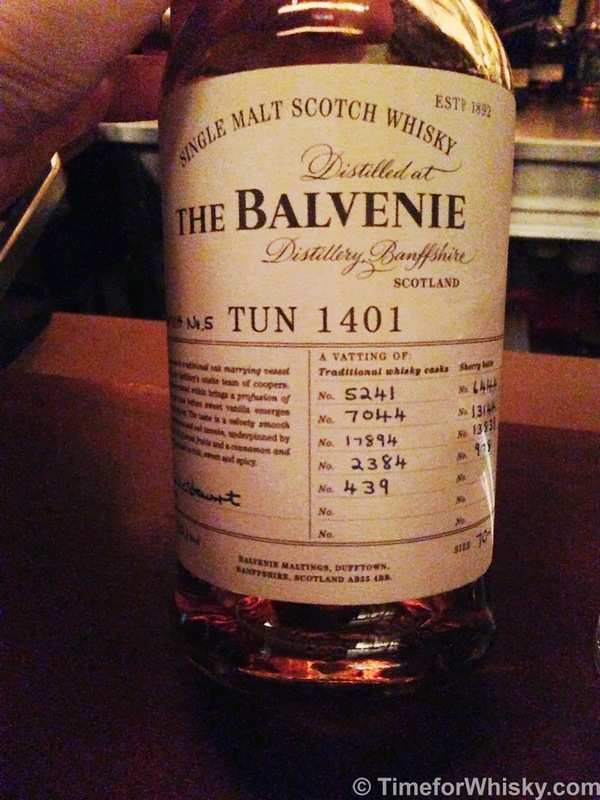 For those unfamiliar with the TUN 1401, the story goes: David Stewart (Balvenie's Malt Master) selects a number of exceptional (often very old) casks, marries them together in TUN 1401 for a certain timeframe (3 months in the case of this Batch 5), bottles them at cask strength, and the result is a fantastic whisky. 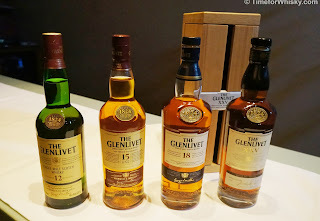 $250-$300AUD (give or take) may seem like a lot for a NAS (No Age Statement) whisky, but given the excellent reviews each and every TUN 1401 has received, and the age range of the casks (oldest: 46 years, youngest: 21 years), I was pretty confident it would be a great dram. 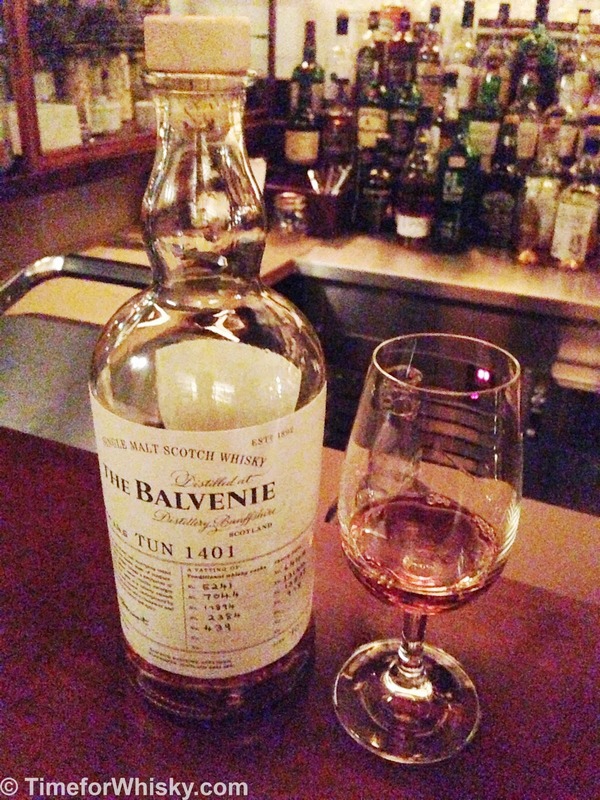 Also, given I tried this at the excellent Whisky + Alement in Melbourne, my "price of entry" was only $24 or so. Not much for what I was pretty sure would be one of the better #101drams whiskies! Not every batch makes it to every region, which makes this Batch 5 interesting in that it was never officially released in Australia (I believe it was mainly released in the US). Batch 8 (the latest release) has been officially released in Australia, but in very limited quantities. Nose: Lots going on here. I don't always pick up as many notes as some of my friends and colleagues when nosing whiskies, but on this I got fresh cream, bananas (but not in a youthful whisky way), and...flint? Hints of smoke, but definitely muted. Complex, brilliant. Palate: Rich, big mouthfeel - reminiscent of the 15yo cask strength (one of my all-time favourite whiskies), but more subdued than 15yo. The bananas continue, with a sweet, sharp caramel flavour at the forefront. Finish: Long (as you'd expect given half of these whiskies are 40+ years old, and one is 46 years old!) Caramel sweetness lingers, with a small amount of smoke evident at the back of the throat. Rating (on my very non-scientific scale): 94/100. Did not disappoint in the slightest. Unfortunately now, I'm going to be on a mission to taste the rest of the range...and one day I'll probably buy a bottle in a duty-free shop somewhere in a moment of weakness. This could get expensive!